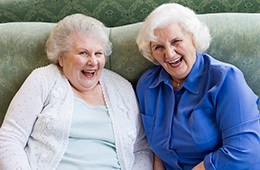 Pioneer Towers is an affordable, older adult community. We seek to provide you with the opportunity to enjoy the retirement life you have been looking forward to. Our community offers the opportunity for social engagement, community activities, and security. Pioneer Towers is located in the cultural and entertainment center of Sacramento. We are within walking distance of the Capitol building, the world famous Crocker Art Museum, sporting events, and dining. We understand that the transition to a new community can be challenging, and we strive to make the process easier with our friendly staff, ongoing activities and special events, social services, and our beautiful and comfortable community. At Pioneer Towers our mission is to provide housing options for older adults in an environment that enhances their quality of life physically, mentally, and spiritually. Pioneer Towers is proud to be part of Retirement Housing Foundation (RHF). RHF is one of the nation’s largest non-profit providers of housing and services for older adults, persons with disabilities, and low-income families.